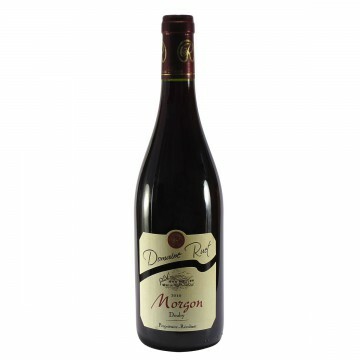 Domaine Ruet is set on the remarkable terrain of Voujon in Cercié-en-Beaujolais at the foot of Mont Brouilly. Established in 1926, the estate spreads over superb south-facing slopes of the shallow, granite and stony soils characteristic of the quality wines of the northern Beaujolais region. Six appellations were developed on the estate, including Brouilly, Morgon and Beaujolais Villages. Each plot is lovingly cared for leaving nothing to chance. The using of integrated vine growing techniques illustrates the family's love for the land and respect for the environment. A deep ruby colour . On the nose, lovely black cherries & plums with a note of dried rose peta..